Your chance to help out Rose-Marie Turner with her MA research. 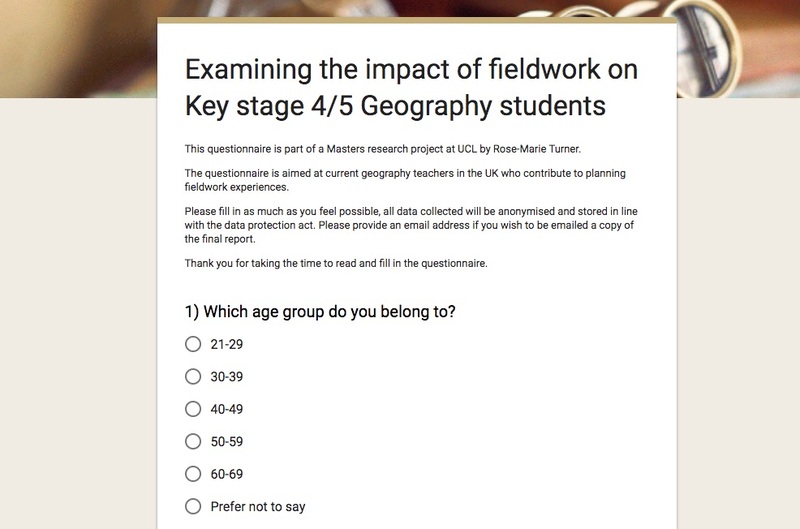 It's aimed at UK geography teachers act KS4/5. It's on the value of fieldwork. Follow the link here to fill in the form if you have five minutes to help. It may also help you reflect on the fieldwork opportunities you currently offer to students.